1. Sit down with your hands on the mat, your legs fully extended and lean back. 2. Bend your legs and bring your knees toward your chest. 3. Hold for a second or two and then fully extend your legs without touching the mat. When doing seated knee tucks keep your back straight and your upper body stable. Breathe out as you bring your knees toward your chest, squeeze your abs in and use your core strength to stabilize your body. Seated knee tucks are a great exercise to target your abs and improve core strength. 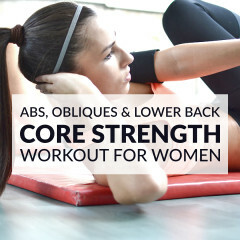 Asides from all the aesthetic benefits you can get, having a strong core also helps to protect your back from injury and can improve your posture tremendously. 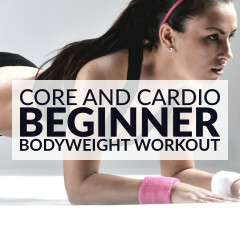 Start with 10 to 16 reps and then advance from there. Once you’re comfortable doing seated knee tucks you can increase the challenge by adding v sits and v ups to your core workouts.